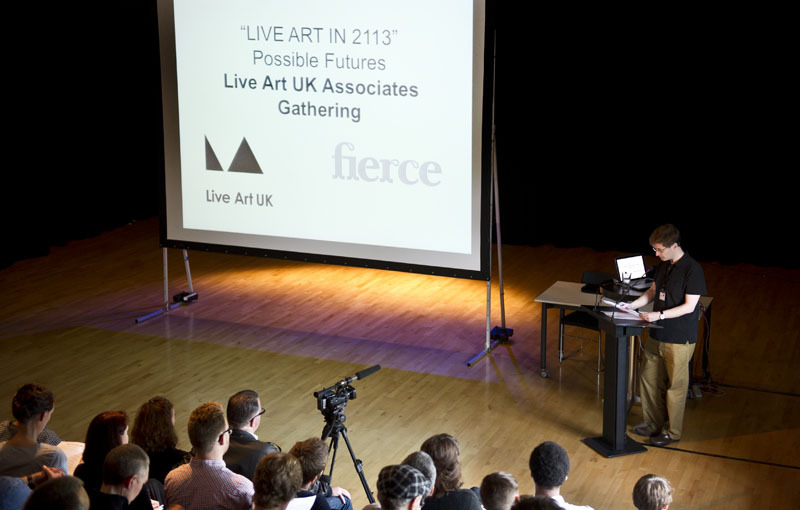 The following texts, videos and photographs aim to give you a sense of the Live Art UK Associates Gathering 2013 at mac Birmingham. England and other funders. 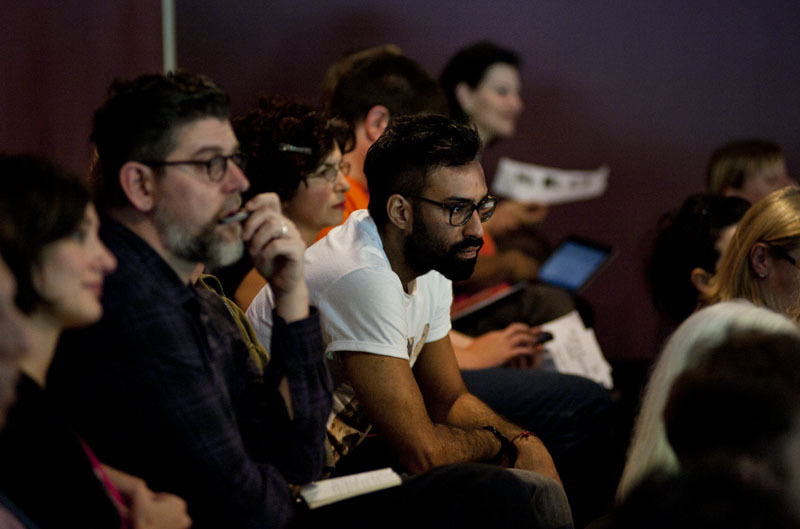 The first Associates Gathering took place at BAC, London in 2012 and looked at the idea of Live Art in ‘unfamiliar places’ by reflecting on the extraordinarily diverse range of contexts in which Live Art is now thriving in the UK. Curated and produced by Fierce Festival in collaboration with Live Art UK, this second day-long Gathering brought together over 150 Associates representing some of the most significant organizations from across the UK who engage with aspects of Live Art within their wider work. 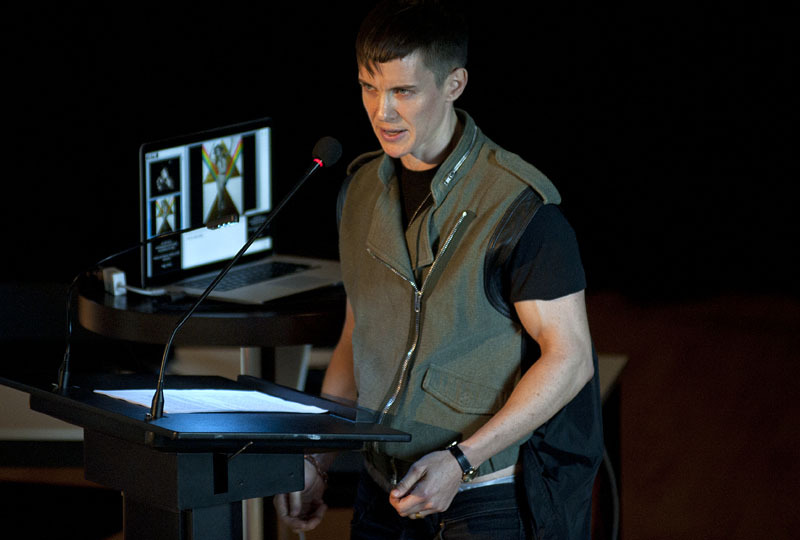 1 – presentations from invited artists, thinkers and activists, offering visions of the future from their subject areas, including Jayne Bradley & Cathy Wade on food production; Steve Shaw on civic activism; Mariana Viada on cyborgs; Antonio Roberts on internet culture; Dr Cath Lambert on sociology; Heather Cassils on the body; and Tamar Kasriel on the future. 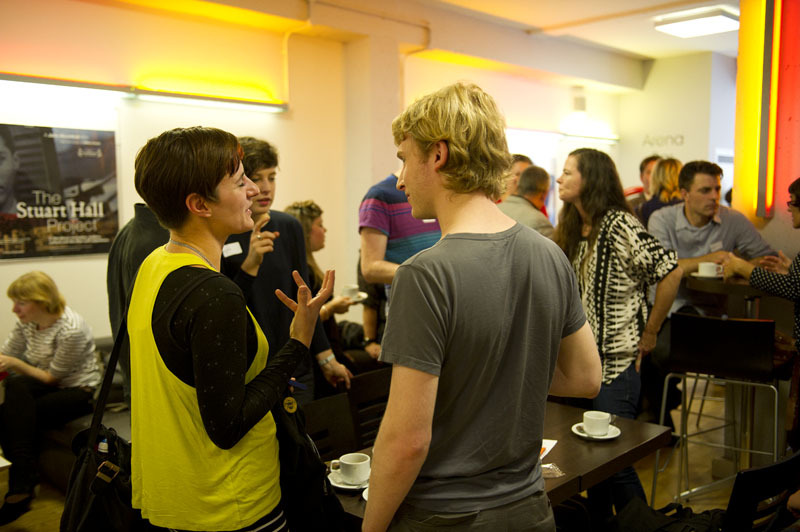 2 – themed breakout discussions moderated by representatives of Live Art UK members and guest contributors considered the relation of Live Art to alternative economies, the city and networks, the body, emergent technologies and education. 3 – three specially commissioned short films by Tania El Khoury, Mamoru Iriguchi and Deborah Pearson exploring the representation of the future(s), Live Art in 2113, the shape of the world to come and how we might have greater agency in the creation of that future. Actions Against an Apocalyptic Future by Tania El Khoury from Fierce Festival on Vimeo. 4 – an opportunity to see the exhibition Fun With Cancer Patients conceived and facilitated by Brian Lobel. 5 – a final reflection session in which highlights from conversations across the day were gathered and shared with the full group, and two new Live Art UK supported publications were launched, I See A Fake Moon Rising on Live Art in the public realm and Forest Fringe’s festival in a book, Paper Stages. Please download a PDF with full details of the Gathering and contributors’ biographies here. the Live Art Sector in the UK.